It’s been a while since we built and deprecated our Watchduino 2 smartwatch built with Arduino and BLE technology. The reason why we stopped developing the prototype was because it was not as optimal as we expected, and the bluetooth communication was unstable in practice; this is probably something we could have solved with time, but we just decided it was not worth it. On the way, we faced a few unexpected issues that took us some time to fix (more than implementing communication with websockets) like the ESP8266 restarting itself every 5 mins because the WDT. 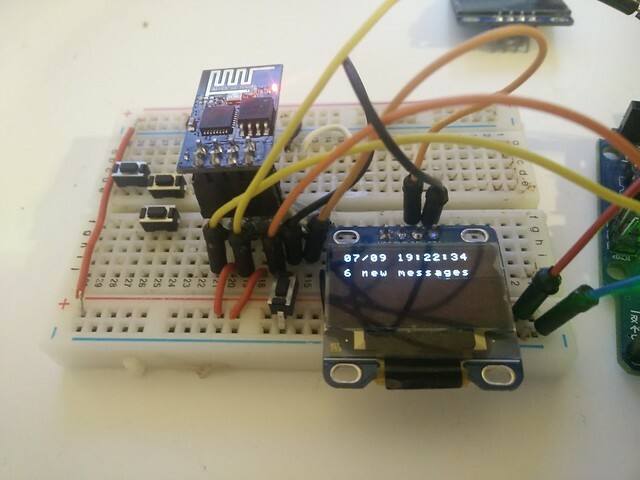 Better OLED SSD1306 screen controller, u8glib seems incompatible, maybe Adafruit ? All our code is available on Github so if you want to continue our work, or look at how we use some of the libraries, give it a go. Who knows, we might probably continue with the development at some point, so watch this space.